Amelia Melvin Bowman, 98, passed away Wednesday, Jan. 30, 2019, at her home in Auburn. Amelia was born Sept. 2, 1920, in Delaware to the late William and Rose (Bowman) Melvin. She graduated from Wayne University and Virginia Ferrell Academy of Hair Design in Detroit. She owned and operated Mickey’s Beauty Salon for many years in Auburn. Amelia married Dr. Charles M. Bowman in 1966 in Steuben County, and he passed away May 13, 2005. She was a member of the Meese Chapel United Methodist Church in rural Auburn. 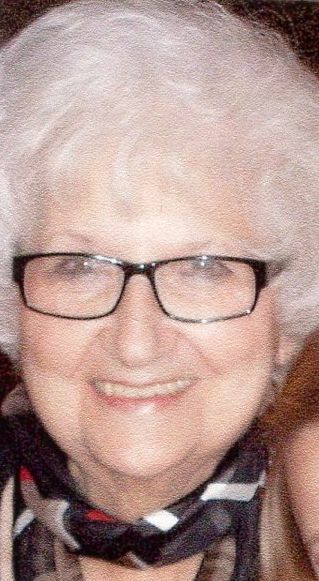 She also was a member of the Auburn Business & Professional Women’s Group, Wayne Township Homemakers Club, Noble County Art Association and the medical auxiliary. She enjoyed volunteering at the Noble County Red Cross. Amelia had many hobbies including writing, music, oil painting and sailing the Great Lakes. Surviving are a son and daughter-in-law, Dennis and Mary Ann Ketzenberger of Auburn; three grandchildren and their spouses, John and Jolene Ketzenberger, Julia and Jeff Slattery, and James and Melisa Ketzenberger; seven great-grandchildren, Aaron Ketzenberger, Adam Ketzenberger, Jane Ketzenberger, Ethan Slattery, Mededith Slattery, August Ketzenberger and Greyson Ketzenberger; and two great-great-grandchildren, Carter Ketzenberger and Wesson Slattery. She was preceded in death by her parents; husband; sister, Rose Wise; and a brother, Anthony Melvin. Services will be 2 p.m. Monday, Feb. 4, 2019, at Feller and Clark Funeral Home, 1860 Center St., Auburn, with Pastor Brad Sisk officiating. Burial will take place in Woodlawn Cemetery in Auburn. Visitation will be from noon-2 p.m. Monday prior to the service at the funeral home.